Which is the correct file to modify the Arduino pin used for the USB Host slave select (SS) line? I would like to add USB host functionality, to a particular Arduino setup, whilst, also, being able to use an Ethernet/SD (or just SD) shield. As this board is not in the usual shield "shape", one would not be constrained by which pin to connected to which MAX3421E input/output, in particular the chip select (SS) input. So, one could use a pin (or pins) that is not reserved by the Ethernet shield. However, it does not appear to be possible to simply specify the "select pin" (i.e. 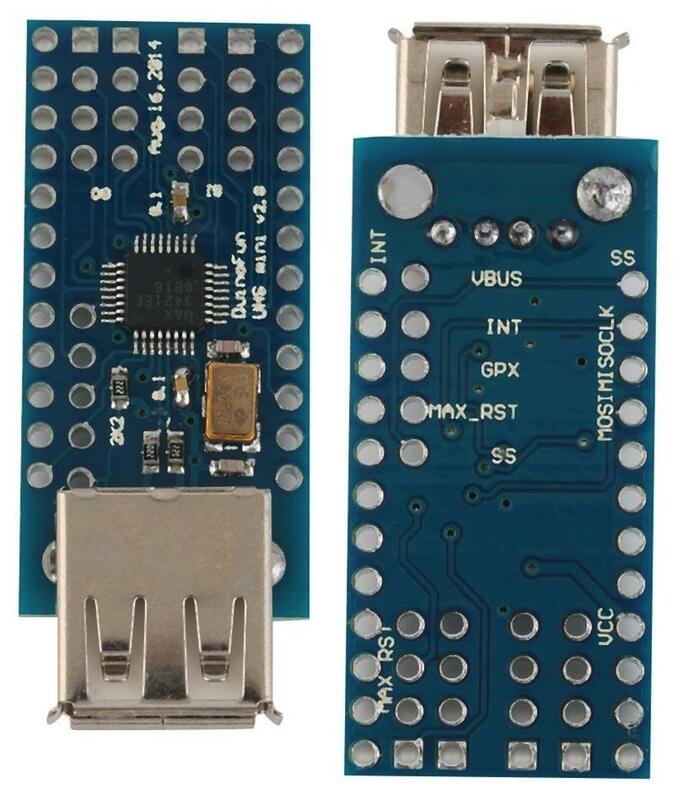 the Arduino pin connected to the SS line) when using the USB Host shield library (or any of the pins used by the library), in setup(). Adding a method to the USB class, such as Usb.DefineSelect(). The latter two options, I could work through, given the time. However, as a quick and dirty hack, where would I hardcode in a change from pin 10 to a pin of my choosing? Does anyone know? Has anyone had to do this? I have had a look through the library to see where pin 10 is defined as the chip select, and avrpins.h looked like a possible candidate for modification, although it would be rather "rude" (for want of a better word) and probably mess up the other boards. the last argument appears to be the pin used for select. For the Uno (ATmega328P), in avrpins.h (line 535) Pb2 is P10 (pin 10), so I could substitute Pb2 for some other pin definition, i.e. Pd5 for P5 (pin 5) (line 529 in avrpins.h). which deals with the Mega (ATmega2560), in avrpins.h (line 512) Pb0is P53 (pin 53). As Pb4 is actually P10 (pin 10) (line 466), why is Pb0 en lieu of Pb4 used? That doesn't tie up with the fact that Pin 10 is used for both the Uno and Mega boards. It seems to suggest the pin 10 is used on the Uno and pin 53 is used on the Mega. Unless I have misinterpreted the typedef. The key piece of information here is that pin 10 is used by both the Uno and Mega boards. Here, yet again, the key piece of information here is that pin 10 is used by both the Uno and Mega boards to select the Ethernet. With this suggested modification to the code, Pin 5 would go to the USB Host SS line and then there would be no conflict with the Ethernet board that uses Pin 10 for its SS line. With respect to the first paragraph, the Uno uses pin 10 and Mega uses pin 53 as the Arduino SS line - so that must be set as an output in order for the Arduino to be the Master. Are realising this as being my source of confusion, it became apparent that the typedef statements, in usbhost.h, were not where I should have been looking to change the device's Slave Select pin. With respect to the second paragraph, I want to use pin 5 (for example) to control the Slave Select (SS) for the USB Host device, instead of the default pin 10. How to choose a transmit pin in the IRremote library for an Arduino Uno?